I was sharing around the link to my last post about working with Black Morel as a totem. While choosing tags for it on my Tumblr, I had a bit of a chuckle thinking of how disappointed some people might be when searching for “mushrooms” and “totem”, and getting thoughts on a rather choosy, wrinkled edible rather than stories of far-out psilocybin trips. It got me thinking about our biases as humans and spiritual practitioners engaging with the world around us. With animal totems we have a tendency to privilege those wild beings that we consider most charismatic and “powerful”–Gray Wolf and Bald Eagle and American Elk and so forth—though I and other totemists have worked to expand awareness and spiritual work to the totems of other species. People still don’t work with the totems of “mundane” domestic animals much, other than sometimes Dog or Cat, probably in part because we don’t feel they’re “special” enough. With plants and fungi, most of the spiritual writings and work seems to be with those that benefit us the most, physically or emotionally. The majority of books on plants and fungi in spirituality are herbals that tell how to use the physical plants, some druidic and other writings on trees (which are big and charismatic), and a handful of texts on connecting with the spirits of psychedelic plants (because they can get us high, man!). We value them according to their uses and attractiveness, not necessarily their spirits. So again our biases are showing. A lot of that is most likely due to our tendency to work with what’s most immediate and familiar. We’re getting more used to connecting with unusual animals, even at a distance, because it’s relatively easy to recognize something of ourselves in them. And thanks to biologists, environmentalists, animal rights activists, and the like, we know that animals are not just dumb automatons with no feeling, but are intelligent and adaptable—and we know we are animals ourselves. So it doesn’t take that much imagination to be able to spiritually connect with the totem of an animal that lives on the other side of the planet. Plants and fungi are a different story. We’re conditioned to see them as background and landscape, not active participants in our animal-dominated view of the world. The plants that do break into our conscious awareness are usually those we get some use out of, or appreciate aesthetically. Take mushrooms, for example, since they’re a recent topic here. Googling “mushroom spirit” primarily brought up a bunch of writings about working with psilocybin, amanita muscaria, and other mind-altering “shrooms”. Often the fungi themselves were only spoken of physically, while the “spirit” was limited to the abstract concepts the tripper experienced while under the influence, the mushrooms themselves only mentioned as the vehicle for something bigger–something to be used. 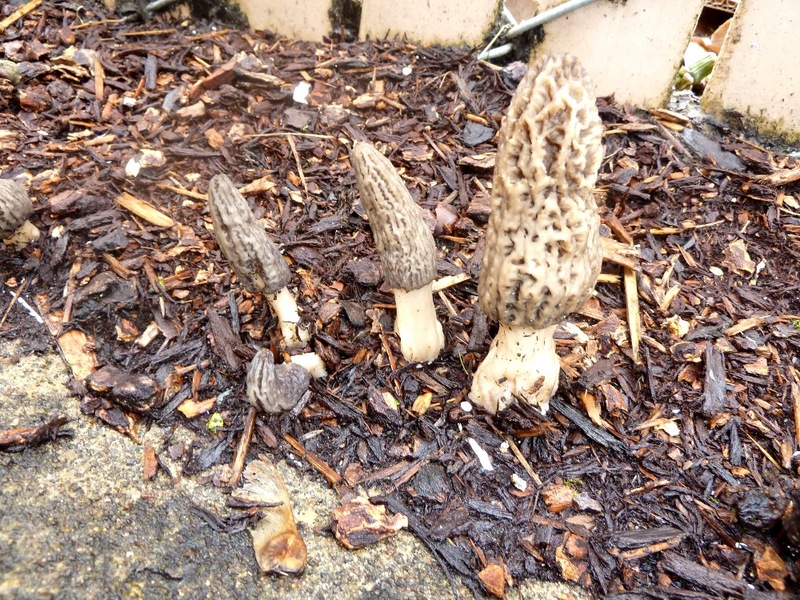 Even my writing on Black Morel was precipitated by me finding edible morels near my home, and the other examples of fungi I thought of were largely those I had encountered in person. And we need to look at why we feel so free to use plant and fungus parts in our spirituality as well as our mundane lives without the care we tend to give animal parts. 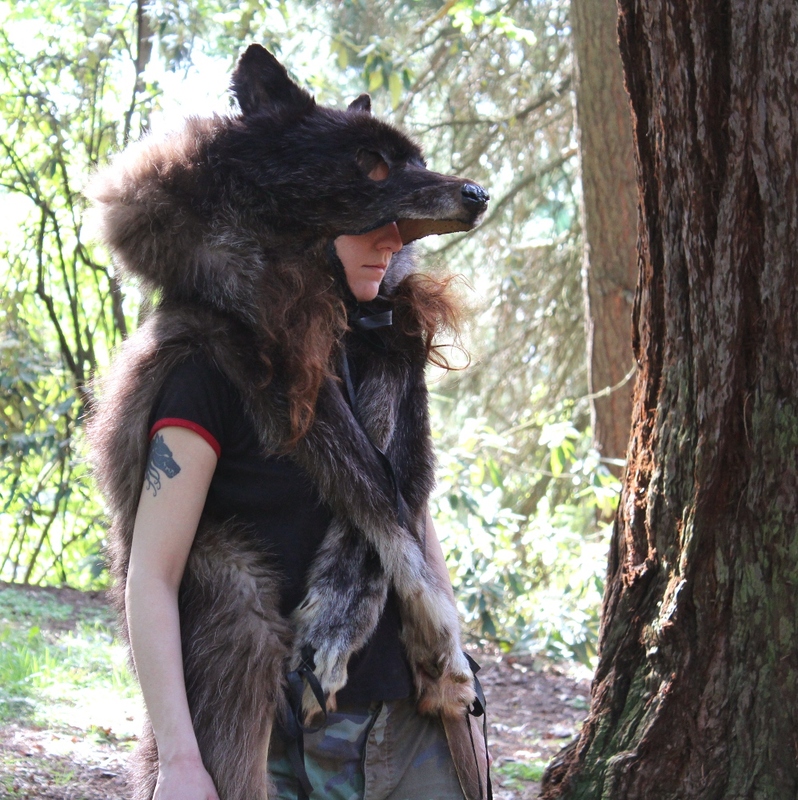 Most animal spirituality practitioners don’t have their primary connection to the spirits and totems through hides, bones, claws and such, and some are appalled by such things. Those who do work with animal parts very commonly engage in care for the spirits of the remains, and see the remains themselves as sacred and not to be wasted. Yet both fresh and dried leaves, flowers, roots and other parts are commonly utilized in everything from incense to sachets to ritual food, without the same care we see given to animal parts. But just because a life was not lost in the procuring of herbal leaves does not mean a sacrifice wasn’t made. Plants still need to use energy and resources to regenerate what was taken, and the wounds can still become infected and kill the plant long after we have taken what we wanted. We still take the plants and their totems for granted by thinking of them as ingredients in a way most of us would not think of animal remains. Yes, there are magical practitioners who engage the spirits of the plants, and their totems, with the same level of care and reverence, and gardeners often feel as strongly for their plants as they would for animal pets. There are those who give a thanks and offering, not just to “the Earth”, but to the plant itself, when collecting leaves, berries, etc. But there are still plenty of people who throw dried herbs into a sachet only thinking of “magical properties” that can benefit them, not where those leaves came from. We need to treat plants, their spirits, and their totems with more regard and reverence than we have. We need to stop only approaching them with the mindset of usefulness and consumption, and confront our biases and human chauvinism. We need fewer herbals that treat plants and fungi as our personal medicine cabinet, and more thought toward dried herbs as sacred remains. We’ve been doing well overall, we totemists and neoshamans and animists, with being less anthropocentric in our work with animal totems and spirits. Let’s start extending that more to the plants and fungi in our world as well.